Four houses and one mosque were destroyed this morning, November 24th, in the villages in the south of the West Bank. 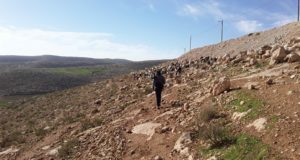 Around 10 am, fifty soldiers and seven police cars arrived to village Susiya. Two bulldozers destroyed the house of Musa Magna’s family and two women were arrested after attempting to protect the house. 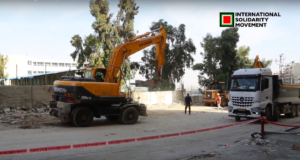 In addition to these demolitions, the Israeli military also plan to destroy part of a school, the road leading from the village to the school and a several tents in the village. 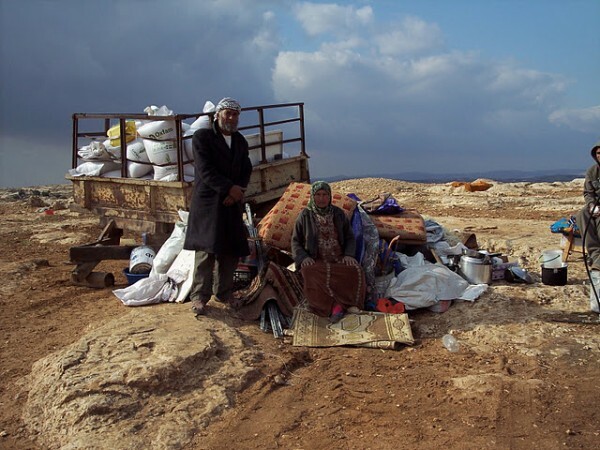 House demolitions also occurred in Um Fagarah, a few kilometres south of Susiya. 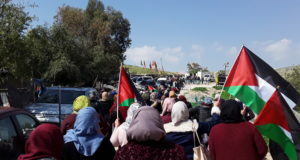 The Israeli military destroyed a house which was home to a family of twelve, some tents and a pen holding sheep and rabbits, some of which were killed. Two women were arrested and the occupation forces broke the leg of one elder woman in the village. The houses of Hammamdi family were destroyed even though the demolition order had not been finalised as the court hadn’t yet reached a final verdict. The military also destroyed a mosque in the village. Both of these shepherd’s villages are often attacked by settlers and subjected to demolitions by the Israeli military. Fida Far is a volunteer with International Solidarity Movemenet (name has been changed).